Hit submit — then sit back, relax and fuhgeddaboutit. Of course that’s what you’re tempted to do when you finish filing your taxes. But what if — instead of blocking the topic from your brain for the next 12 months — you used the momentum you’ve created to make things easier for yourself next year? We’ve got tips for doing just that — and saving yourself money and stress come 2019. Here’s how. Feel like you scrambled to find the documents and receipts you needed this tax season? We’re only a few months into 2018, so creating a new organizational system for yourself now could save you both money and stress in 2019. Start by creating physical and digital folders for documents you’ll capture as the year goes on — think charitable contribution receipts, education payment records (including books or textbooks), mortgage interest payment records and more. If you suspect you’ll lose relevant receipts before you get them into your folder, take photos of them instead. And if you’re self-employed? Create an Excel or Google spreadsheet to track expenses that could later turn into itemized deductions (like work-related travel, tax preparation fees, relevant subscriptions and advertising costs). Aim to update it at least once a month. If you need extra help keeping track of potential self-employed write-offs, apps like Expensify (free for individuals) and Shoeboxed (starting at $4.99 per month) can help track expenses and scan receipts. Be strategic about self-employment expenses. Let’s say you work as a photographer and are eyeing an expensive camera. Since buying it could lower your taxable income significantly, it’s important to be strategic about timing for significant purchases. For example, if you know you’ll likely earn more next year, you might want to wait until then to purchase — not only could it lower the amount of income you’ll be taxed on, but because of the new tax laws, you’d be able to deduct the entire cost of that kind of capital asset in the first year you bought it. Other ways to lower your taxable income? Consider increased contributions to retirement plans and health savings accounts or increasing advertising to fend off competition. Fewer than one in four U.S. workers say they are aware of changes in their paychecks due to the recent federal tax law revisions, according to a Bankrate.com study. If you’re starting to see more in your account on payday, ask your employer or HR for a new W-4 form, then fill it out. (Use the new withholding calculator at IRS.gov to make sure you fill it out correctly.) 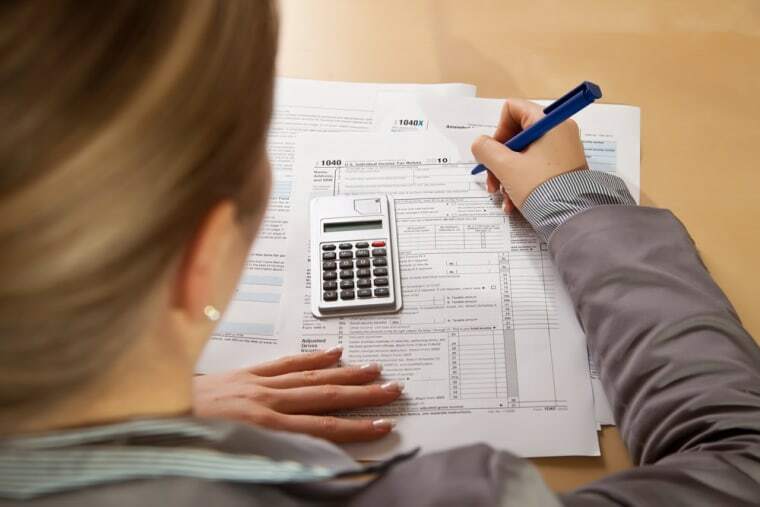 It’s important to do this sooner rather than later because due to changes in the tax law and/or your personal situation, you might be under- or over-withholding. In the first instance, you could owe Uncle Sam significant money at year-end. In the second, you could get a bigger refund than you’re used to. (Of course, the latter is preferable. But giving the government an interest-free loan isn’t a good idea.) Once you fill out the new W-4. get it back to your employer ASAP to get your changes on record. Think about what’s to come. Finally, if you have a big event coming up this tax year (like marriage, divorce, having a child or selling a home) know that these are significant life changes. You can use online calculators to plan for potential changes in what you might be refunded or what you might owe to stay on top of your situation.